Luis Nani - Portuguese National soccer player and Fenerbahce Istanbul star-winger! The worlds´ best football player uses the -IVT-! We do have some spectacular news to share with you! 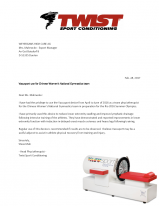 The worlds´ best football player, uses the Intermittent Vacuum Therapy! Few weeks ago we have installed one device in his house. Cristiano Ronaldos professionalism and obsession with his fitness sometimes reach unexpected levels. And there's no better example than his current road to recovery from the knee injury that has been causing him so many problems. CR7 has decided to take a break for three weeks, and he's doing all he can to make the most of that time. He's even converted his house into a mini-clinic so he can continue his treatment far from Valdebebas. 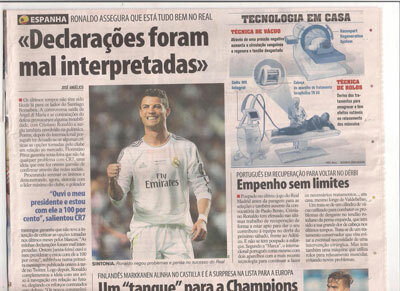 Part of the plan for CR7's recovery includes a treatment in a vacuum cylinder. Through a pressure change it increases the blood flow at tendon insertion points. In the Portuguese forward's case, this is especially important for his patellar ligament. This is the treatment programme he has undertaken to try and regenerate his damaged tendon, suggesting that surgery has been ruled out for the moment. The star's break is not unexpected; everything has been planned. A schedule has been prepared for him with three objectives: repair the patellar ligament, avoid surgery and get him back on the pitch as soon as possible. Thank you for your attention and best regards.